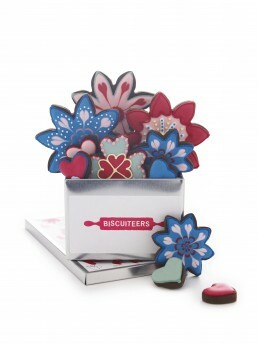 Treat Mum to a gorgeous Mother’s Day gift from the Biscuiteers……. 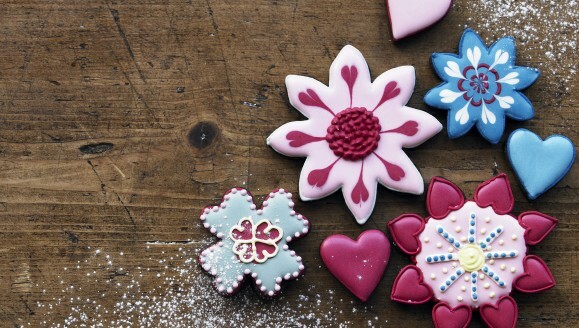 Why send flowers when you can send biscuits instead? Biscuiteers is a unique new gifting concept which lets you surprise friends, family and colleagues with a themed box of handmade and artistically-iced biscuits. Each collection is presented in Biscuiteers’ gorgeous keepsake tins, and designs range from birthday surprises for him and her, Halloween, new baby and more eclectic inspirations such as London and 'city breaks.' and they definitely taste as good as they look. Chocolate Collections: The Biscuiteers handmade chocolate collections are available in three sizes. A small box of six individual hand-iced chocolates is £10.95 plus p&p, a medium tin is £35.00 plus p&p and the giant personalised tin £65.00 plus p&p. Biscuit Collections: The Sewing Kit tin is priced at £38.50 plus postage and packing for a tin of 16 individual biscuits. 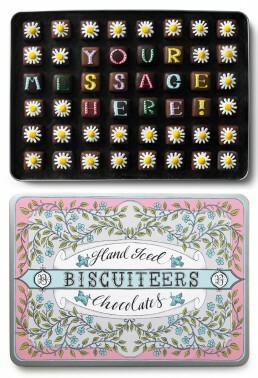 The Flower Power mini tin is £27.50 plus p&p for nine hand-iced biscuits. Biscuit cards start from £8.00 each plus postage and packing and the personalised Tea Pot card is £10.95 plus p&p. Jolly Gingers start from £6.00 plus p&p. Mum is just going to love our new range of handmade and hand-iced chocolates. 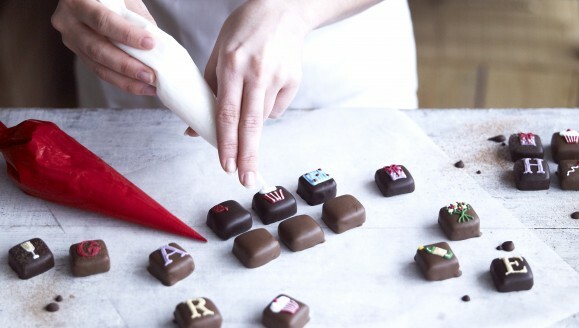 Based on the same unique artisan qualities as our biscuit tin ranges, the Biscuiteers handmade chocolate collections feature the same beautiful hand-icing, gorgeous packaging and personalisation Biscuiteers is known and loved for. The chocolates range features a variety of scrumptious and sumptuous flavoured chocolates such as Raspberry & Rose Truffle, Cinnamon Toffee Apple and Jan Doo Yah Praline hand-iced in two gorgeous collections of 24 and a smaller box of six chocolates. A giant tin of 48 chocolates is available to personalise with your own special Mother’s Day message iced onto the individual chocolates for a really special gift. Its time for mum to put her feet up with a cup of tea, Spoil her rotten with a tin of treats from the Biscuiteers Mother’s Day range? 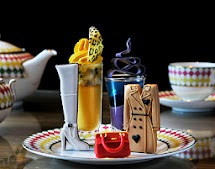 If you’re looking for a gift that’s as fabulous as your Mum, look no further than the Biscuiteers - there’s no better way to show her you care this Mother’s Day. From porcelain tea pots and colourful cotton reels to hand-iced love chocs in a box, she’s guaranteed to adore our range of delicately hand-iced Mother’s Day gifts.